ANOTHER SPECIAL EVENT! 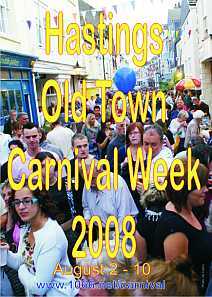 - Hastings Lifeboat on the streets of Hastings in our Carnival Parade!! 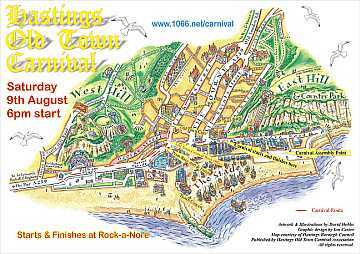 - Life boat forms up on the A259 West of the Stade Coach Park at about 17-35/40Hrs and travels the route about 30 Metres ahead of our leading Carnival Court Float. The width & height of the vessel won't allow its passage into High St.and All Saints St. So it will return via the roundabout Pelham Place and return to base.